Abante International operates within the auspices of Lawrenceville Church of God, located in Lawrenceville, Georgia. Your are able to donate directly to our mission through our local church by utilizing the “SecureGive” link provided below. 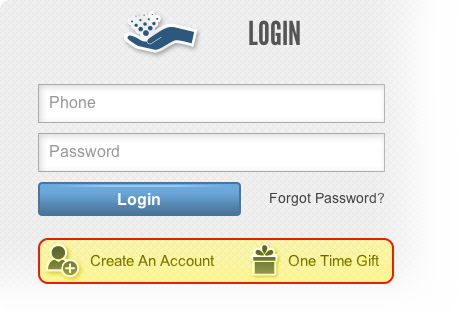 You can either give a one-time gift or create an account with SecureGive and automatically donate on a recurring basis. 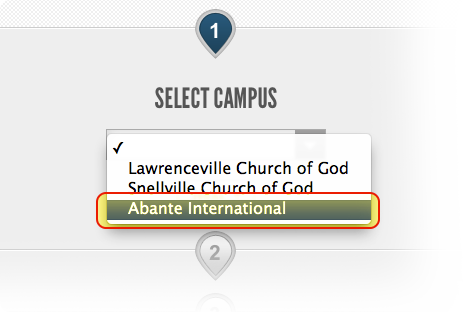 When asked to do so, select the “Abante International” campus. Designate your gift. 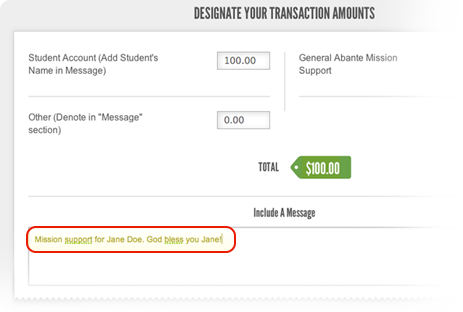 IMPORTANT: If your gift is for a specific student’s mission, please indicate their name in the comments box. Once you’ve finished the process, your gift has then been delivered. At the end of the calendar year, you will receive and statement and record of all your gifts. Click the donate button below to continue.